I thought that I would load a few shots from 2012. You may have seen a few shots already, but I’m pretty sure that there will be a few here that you haven’t seen. I have experienced some amazing fog paddles through Canberra’s winter. Experienced a few night time paddles after taking in another sunset. At times it even feels like you are floating on the clouds. and have loved paddling through the wetlands in the middle of winter, sometimes it feels like you are paddling amongst the Trifids. with most mornings so calm that you feel like you are paddling on a sheet of glass. The colours have been the biggest enjoyment. and each time Mother Nature treats me to a spectacular light show. I have photographed a few different things like the rock pools at Jervis Bay. 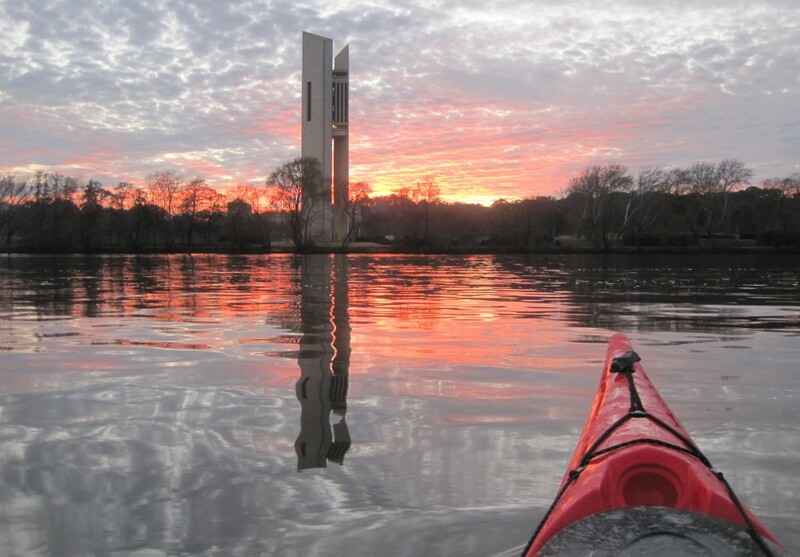 I have had a many good laughs as we have floated our way around Lake Burley Griffin. Even when it is minus eight degrees and the water temperature is a mere five degrees. I have ventured to many places throughout the year and have seen some mind blowning places that many people wouldn’t even know they existed and most times they are right on your own door step. how could you not, after paddling amongst some of the best scenery that you could ever ask for. I hope you have enjoyed my photograghs and much as I have enjoyed sharing them. I thank you all for your support and I hope you will continue on commenting, liking and paddling with me into 2013! This entry was posted in Canberra, Crescent Head, Fog, Sunrises, Sunsets and tagged Reflections, Sunrises, Sunsets, WOW by kayakcameraman. Bookmark the permalink. Beautiful photos. Your work makes me want to take up paddling. Hi writecrites, it is certainly beautiful out there and sometimes I find myself floating away in awe at the light shows. I’m glad you like the shots. I’ve just discovered your amazing work and have become an instant fan!! Looking forward to more ahead! Hi Lorna, it won’t be long and I should have a few more posts to be loaded up from the 6 week holiday break, I have so many photos to choose from. I’m glad you like the shots and enjoy the rest of the photos on the site.